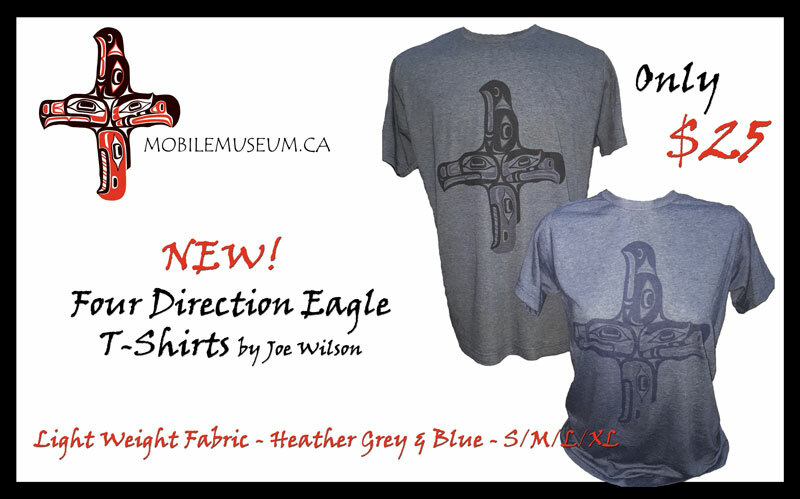 Home Page › Mobile Museum Feedback Forum › BC Mobile Museum 4-Direction Eagle T-Shirts are Available Now! This eagle design used expresses the unity and common elements shared by the First Nations of the BC North(left), The BC West(bottom) and Kwakwaka’wakw(right) and the Salish(Top). It also depicts the 4 directions and the central connection we share. Each of the eagles were created in traditional form and are culturally correct to each region, respectfully representing the 4 different indigenous art styles.